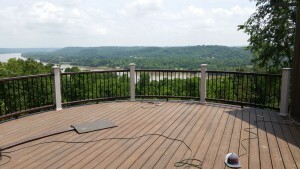 SAW Remodeling specializes in building high quality decks and is a premier deck builder in the Cincinnati, Ohio region. 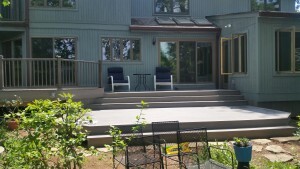 We offer design-build services so that we can complete your deck project from start to finish. Founded in 1995 and with over 100 years of combined residential construction experience, our team is ready to assist you with your next treated, composite, or synthetic deck. With an incredible number of decking products available to build with, our design team can help with finding the best products for your needs and environment. Listed below are the most popular and high performing decking products in the Cincinnati and Southwest Ohio region. 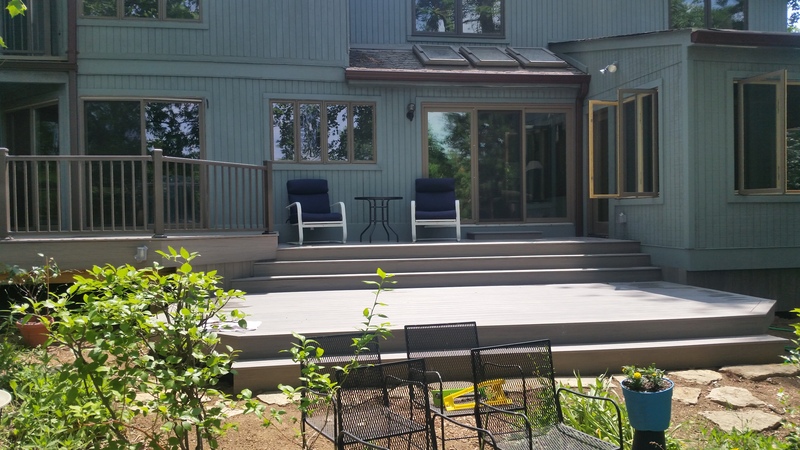 Since composite decking materials debuted in the early 1990’s, the use of these products have continued to grow and grow due to the extremely low amount of maintenance needed to keep the composite decking products looking beautiful. All of the leading composite products boast a 25 to 30 year no-fade and stain warranty which means that in this amount of time. you will never need to stain or paint your deck again! It is estimated that low cost premium composites will actually cost the homeowner less money than a treated deck within 2-4 years. Premium composite decking products will still save the homeowner money in the long run. Here is our list of some of the top composite decking products available in the Cincinnati market. Formed in the 1990’s, Trex was one of the first synthetic deck boards to hit the market. Trex’s composite deck board is made out of a 95% recycled wood and plastic film blend. The composite blend is manufactured out of locally sourced reclaimed wood sawdust and plastic from grocery bags, shopping bags, sandwich bags, etc. This is a very environmentally friendly process that keeps plastic and sawdust from being dumped into landfills. Aside from the environmentally friendly construction of this product, Trex’s flagship line, Trex Transcends, has one of the most indestructible surfaces in the capped composite decking market. With incredible scratch resistance and durability, Trex Transcends will most certainly last for ages. Visit www.trex.com to learn more about Trex Decking. SAW Remodeling has been building beautiful decks since 1995, call us at 513-518-7801 for a free estimate today!